In collating evidence on the barriers to post-school education, Branson et al. (2015) explain in the South African Child Gauge 2015: “Learners face a number of important decision-making moments during their educational career. Yet their choices are often constrained. Matric subjects are chosen in grade 9, when employment and careers are far from a reality, and choices may be compounded by poor guidance around subject choice and future possibilities”. Young people who worked with the team behind the South African Child Gauge 2015 concurred: “There is little career guidance and support, so we feel ill-prepared to make the right choices. This starts in grade 9 when we have to choose subjects that we will take in matric, yet we have no idea what we would like to study after school. ” (Read more in the Youth Matters Bulletin). 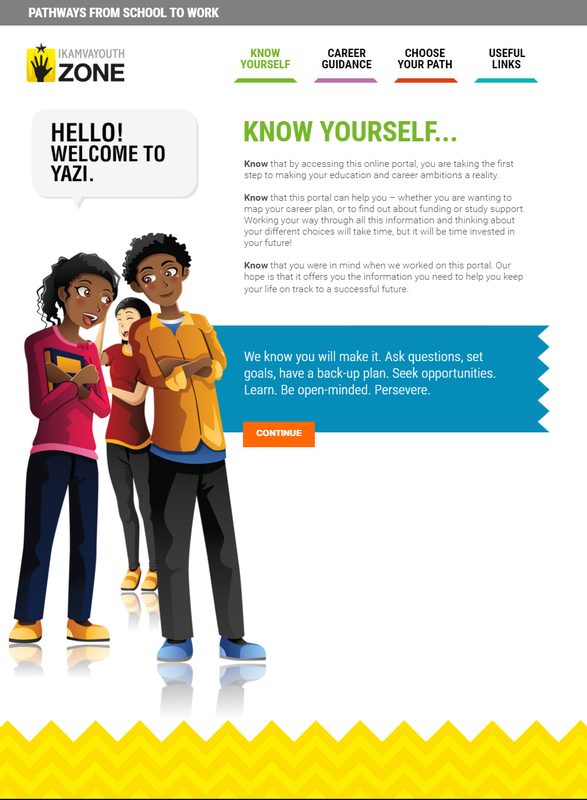 With the aim to meet young people in their request for information, the Poverty & Inequality Initiative, in partnership with UCT's Children’s Institute, IkamvaYouth and the DG Murray Trust have developed 'Yazi', an easily accessible information portal that visually maps the pathways through the educational system – from grade 9 onwards – into higher education or into the world of work. It provides young people with the knowledge they need to make informed decisions about their educational or career trajectories. After an initial pilot stage, it is envisaged that the portal will be evaluated and the outcomes of the evaluation translated into policy-relevant material.